Here at The Structural Exam we're passionate about helping people pass their Professional Reviews. 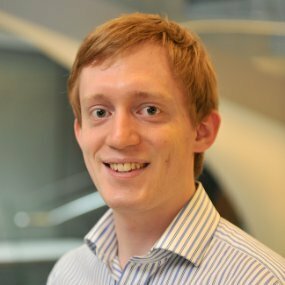 In this post we chat with Nick Borner who became a Chartered Civil Engineer in April 2015. He not only passed his review, but did so with flying colours, earning himself a nomination for the James Rennie Medal. His work since graduating has been diverse – from designing airports for the Middle East to managing on-site logistics in London. He now works in Canberra, Australia. We were fortunate to have the opportunity to chat to him about his review preparations, and to see what advice he can pass onto us. Nick Borner, a James Rennie Medal nominee for best CEng MICE applicant. TSE: Thanks for joining us Nick! Tell us a little bit about yourself, your background and your route to Professional Review. Nick: I’m a structural engineer, I studied at Cambridge University and graduated in 2010. I chose the ICE’s route to Chartership because I thought it provided a more well-rounded training than the IStructE route at the time. One advantage of doing the ICE first is if I want to take the IStructE exam later then there’s far less pressure! But obviously that’s just my personal choice – both the ICE and IStructE routes provide an excellent framework for getting the experience you need as a young engineer. Soon after I started work I signed up to my company’s ICE training scheme, which is definitely the simplest way to go if your company has one. TSE: How long did it take you to sign off your IPD? What do you think could have been done to speed it up? Nick: 4 years and about 2 months from starting at work to 100% signed off. I was pretty happy with that, especially considering how lagging I got at one stage. I think if I’d kept up to date with Quarterly Reports all the way through, I could have gone a bit quicker. And I waited a while to find a suitable site placement – if I’d had the opportunity to go to site earlier I might have been able to sign other key objectives off sooner. It’s not a race, but about getting enough of the right experience to make you a well-rounded engineer. I was offered a site placement but turned it down because I didn’t think it would give me useful experience for my future career. So by all means keep an eye out for opportunities, especially ones you know you need, but don’t rush things – good experience is better than quick experience. TSE: Can you briefly list/describe the projects, job position, size of team and contract sizes you worked with during your IPD phase? Of these which ended up being your project that you presented for CEng? Nick: Hopefully the table below will give you a feel for the experience I got during my IPD – obviously there was far more detail in my submission to the ICE! And remember this experience is just mine – people get Chartered with the ICE with such a huge variety of backgrounds, so if your experience looks nothing like this, that’s fine. I ended up focussing on my site placement and airport work for CEng, simply because the combination allowed me to hit almost all of the attributes. The rest of the projects I wrote about were then able to back up what I’d already covered. TSE: What sort of arrangement of mentoring did you have, and how would you have done things differently to improve it? Nick: I had a Supervising Civil Engineer and a Delegated Engineer, but a lot was left up to my own initiative in terms of writing reports etc. It meant at one point I was over 2 years behind with quarterly reports (because I was lazy at the time), and it took enormous willpower and effort to catch up! A more structured support system would have meant I kept up with my reports, and made my life easier. But I don’t think it should be up to mentors to do that – it’s up to the graduate to put in the effort, and it was a good lesson for me to learn. I spent half an hour every morning on the train for 6 months writing reports to catch up – not something I’d like to do again! In hindsight, I should have realised the importance of keeping up with reports. Not only did writing them get me closer to CEng, it also made me look at my work and development in a new light, and helped me to see where there were gaps in my experience. I know it’s tedious, but the ICE gets you to write progress reports for very good reasons, and I think those two years where I wasn’t writing them I probably missed out on some opportunities simply because I didn’t know I should be looking for them. TSE: What sort of system did you maintain for recording your portfolio during the IPD stage? Nick: I kept a register of the projects I had worked on, kept hold of images that I thought might be useful, and wrote a little description for myself and the tasks I did. It’s amazing how much you forget about a project 3 years later. And of course I kept a CPD record, plus doing it in Excel made it easy to collate and analyse when it came time to submit to the ICE. Quarterly reports are also an excellent record (when I wrote them). Try to include little details and anecdotes as well as broad overviews of what you’ve been doing – the details are what will make your Chartership submission more engaging and three-dimensional. TSE: Tell us about what you did to prepare between signing off IPD and preparing for your Professional Review. Nick: As I approached the end of my IPD I had already started planning the route from there to Professional Review. I joined a Written Exercise Group (WEG) a year before my review date. It gives you practice for the written exercise with group of people who are all working towards the same goal, and the support you can offer each other is great – I think that was probably more helpful than the writing practice. We wrote one essay a month, shared them with each other, and then met for a couple of hours to offer constructive criticism. It’s not a huge time investment but it was really worth it so I strongly recommend it to everyone. If you’re not based somewhere there are lots of other ICE applicants around, there are online groups that are just as good. As for the run-up to the review, despite having months to prepare it’s actually a very short timeframe. I made mini programmes, for the months, then weeks, then days running up to the review to make sure I stayed on track. It was tough keeping up at times, but it’s all got to be done eventually! I left preparing the presentation until after I’d finished and submitted the report. This meant I didn’t have much time, but I was able to tailor it around my report and use it to fill in any gaps I thought still existed. Our written exercise group arranged an evening where we all presented to each other and gave feedback, which was really useful. I also arranged a mock review with some ex-reviewers and it really helped. It gave me practice at answering questions in the right way, ticking off Attributes as I went. I got some really helpful feedback too on what I needed to polish off before the big day. And most importantly I got confidence – now I’d already been through a review once so the real thing wasn’t nearly so daunting. Bear in mind my preparation schedules are what worked for me, but there are plenty of other ways to prepare! 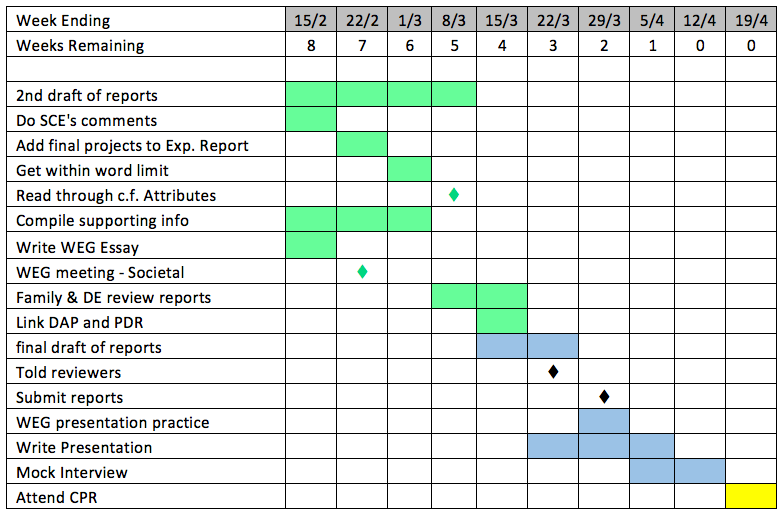 TSE: How did you structure your report to demonstrate each Attribute? Nick: Before writing my first draft I went through all the projects I’d worked on and decided which Attributes I could use them for. That meant from the beginning I knew I would cover every Attribute sufficiently. Plus it made it much easier to structure the report. Don’t worry about the word limit on the first draft – it’s actually good to write too much. That way when you have to cut out 30% of your words, you know what’s left is the best – just make sure you don’t cut out a whole Attribute though. I went through several drafts of report, getting it reviewed by different people each time to benefit from their fresh perspective. Once I had my final draft, I printed it out and went through with a red pen annotating when I thought I’d covered each attribute. This made it easy to check that I’d covered everything, and that my report was balanced – you don’t want to mention one attribute seven times if you’ve only covered another once! TSE: What do you remember your Professional Review day? My review was at the ICE headquarters in London – One Great George Street. It’s a pretty imposing building, but I’d been there quite a few times before for talks and events. I was of course nervous, but I felt I had prepared to the best of my ability so all I could do was see how things went. My reviewers were very friendly and went out of their way to put me at ease. They listened attentively to my presentation and asked a few probing questions, but moved on to other things quite quickly. They asked some easy and some detailed questions about the projects I had worked on, but I answered most of them well enough I think. The benefit of the review is you’re being asked about something you clearly know the most about – your own experience. So all you have to do is focus on hitting attributes with your answers and it’s not too scary at all. There were a couple of questions I feel in hindsight I could have answered better, but that’s always going to happen. TSE: What do you think helped you win the James Rennie Medal nomination? I think it’s probably the presentation, clarity and brevity of my reports. 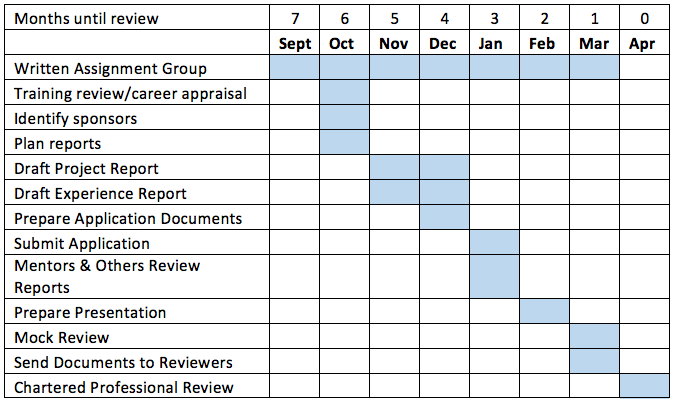 So I think getting a neatly trimmed down, efficient report was a good start with the reviewers. I saw some people carrying huge mounds of paper bound together as their reports, whereas mine was almost worryingly thin. For appendices I’d only included what I thought was really necessary to support a given attribute, anything extra just detracts from the story you’re trying to tell. I’d also put a lot of effort into presentation and clarity. I made sure that every sentence in the report was necessary, and added to what I was trying to say. By having lots of different people review my words, I’d made sure what I said was clear. And then around that refined text I’d included at least one image per page but no more than two. This gave the report an appealing aesthetic without making it too long. And again, every image had a purpose – supporting the text and hopefully hitting an attribute. I was of course very lucky having worked on some exciting projects and I’m sure that helped me. But no matter your experience, if you’ve ticked off all the Attributes anyone can get a James Rennie Medal nomination with a good enough submission. TSE: Was there any point during the preparation or review you thought you would have a chance at the James Rennie medal? Nick: No! There was quite enough to deal with just aiming to get Chartered, so I focussed on doing the best I could do and got on with it! TSE: What were your Written Exercise questions? How did you choose the one you answered? Nick: I honestly can’t remember! They were both tailored to my experience though and all I needed to do was write from my own knowledge (I didn’t need to have contract forms I’d never used memorised). I chose the question I thought would best strengthen where I felt weakest from my reports and interview, which for me was Health, Safety and Welfare. Despite all my practice and preparation, the written exercise didn’t go that well for me. I re-read the paper 60% of the way through the time and found I’d only answered half of the question! So I had to go back through and change things about, add things etc. to get something to work. It turned out alright in the end, but it was not pleasant or pretty. So my advice to everyone is to re-read the question 10 minutes after you start writing, just to check you’re on the right track and are definitely answering all of the question! Nick: Don’t let Chartership and IPD run your life or your career. Take opportunities that you find interesting, develop skills you’re good at, and enjoy yourself. You’ll find you automatically tick off objectives as you go without really having to try. But do make sure you keep up with your quarterly reports, it’s less painful than the alternative, and really does help you to make the most of your experiences. Nick: It’s a bit scary and it’s a big deal, but the worst that can happen is you fail and take it again, so don’t worry too much! Prepare everything to the best of your ability just see how things go. Your reviewers aren’t there to catch you out, they’ll be nice but firm. And remember it’s your job to hit all the Attributes – they can (and will) set you up with good questions, but it’s up to you to make the most of that to demonstrate why you’re ready to be a Chartered Civil Engineer. Thanks for this incredibly insightful interview Nick. Your tips and preparation schedule are a fantastic resource for all future applicants!